I’ve recently tested a selection of grooming products for guys as we forge, sleigh bells and all, into the holiday season. Following is what I discovered for great stocking stuffers. #5: The Art of Shaving Morris Park Collection Razor combines smooth handling and bold style with the appeal of a vintage race car. Exclusively designed, each razor features a classic racing color polished to a beautiful finish and accented with chrome details. I like the no-slip handle and the fifth blade game me multiple close shaves. If you or the Santa on your list wet-shave, this is my recommendation for the season. 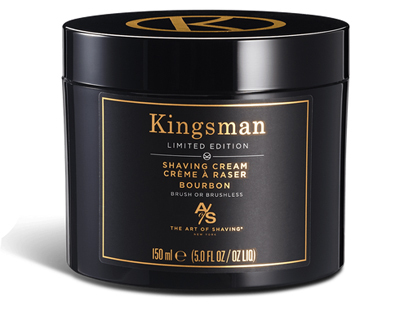 #4: The Kingsman Shaving Cream has been sitting on my shelf in the shower for quite a while. With my new testing razor in hand, I decided it was time to give it check out the shaving cream as well. The limited edition cream comes in an attractive black container that I prefer to a can of foam or tube. I lathered up my beard and gave it a whirl. The outcome was impressive, clean and without razor bumps as well as a subtle and masculine scent. #3: A brighter smile and healthy oral hygiene are always a welcome gift. 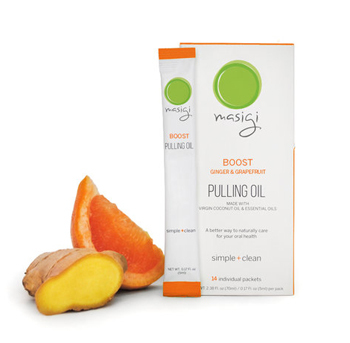 I used Masigi Fresh Oil Pulling Oil for about three weeks. Not only did I notice a difference but so did my colleagues. Used primarily in Ayurvedic medicine, oil pulling is a great oral detoxification procedure that’s simply done by swishing a tablespoon of oil (typically coconut oil, olive or sesame oil) in your mouth for 10–20 minutes. I do it before brushing in the morning and have noticed the difference than brushing alone. #2: For guys who are traveling this season, I recommend Eleni & Chris Energized. This travel set of shampoo and conditioner fits in your shaving kit (or bath) and is the perfect duo to fly the semi-friendly skies or when hitting the road. 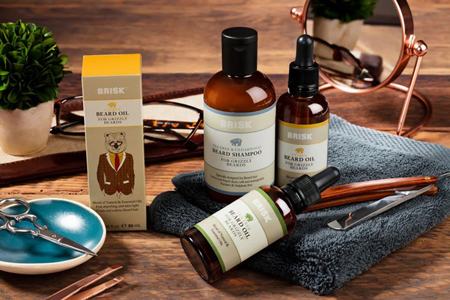 #1: For those who refuse to let Movember go away, I recently tested BRISK beard oil. It’s made with essential tea tree, cedarwood, grapefruit and lemon oil, to coat, soften and tame even the grizzliest of beards. The scent and shine effect gave it high points on my stocking stuffer list. Read our Metro Man every month for grooming, hygiene and fashion for guys.